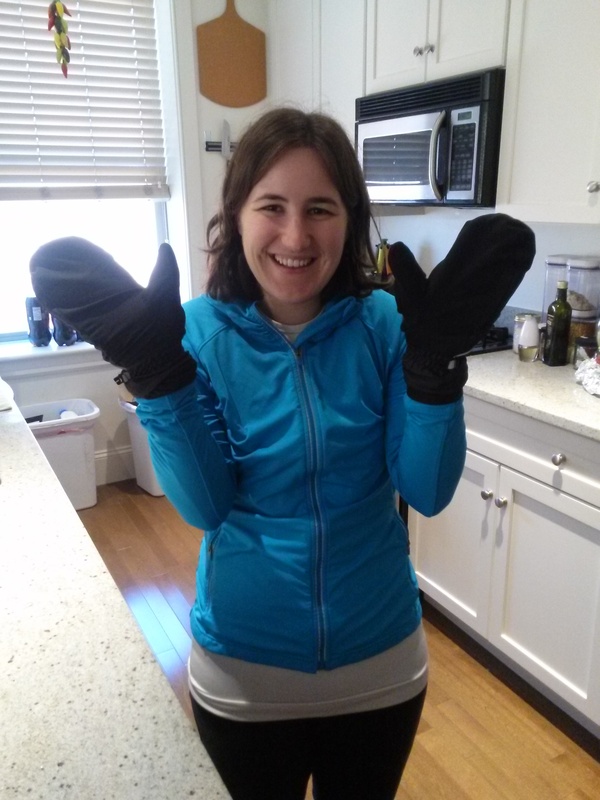 Last night Jeff gave me running mittens for Hanukkah! Mom always said that mittens would keep my hands warmer than gloves, and these are no exception. Today was another easy run to check off the list – Saturday is a normal running day, the wind from the last two days had died down, and Jeff joined me for the run. And new mittens! I wish they were all going to be this easy. P.S. If you haven’t noticed, I’m also taking advantage of this streak to work on my blogging skills. I don’t think I’ll be posting every day once the long weekend ends, so enjoy it while it lasts – haha.